Former head football coach William Hammer throws a football during team practice. 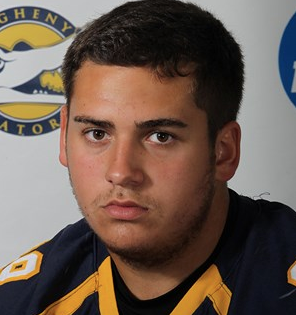 Officially named to staff in January of 2016, Hammer has spent three football seasons at Allegheny College. Hammer was the football program’s 34th coach and will be moving on to a new position at Bowdoin College in Brunswick, Maine. 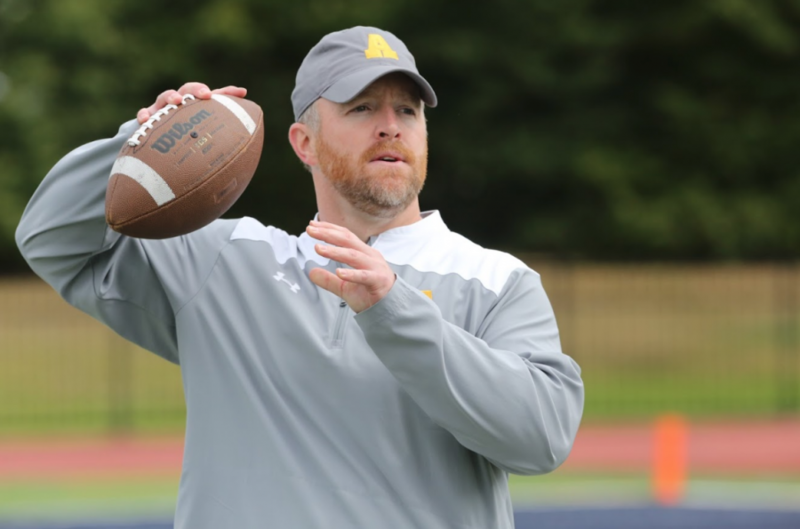 Head Football Coach William Hammer will be leaving Allegheny College after three increasingly successful seasons. Hammer announced his resignation on Monday, Jan. 14, 2019. Hammer began his new position as head football coach at Division III Bowdoin College in Brunswick, Maine this week. 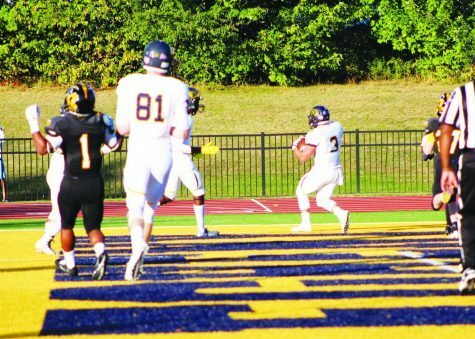 In his three seasons at Allegheny, Hammer was instrumental in bringing victory back to the field, according to Assistant Athletic Director for Athletic Communication and Media Relations Sean King. “Coach Hammer inherited a program that was winless, won one game his first year, three games his second year, and then this past season the Gators won six games, which is a remarkable improvement from a team that was winless whenever he first arrived,” King said. Hammer cited the excitement of “getting winning ways back to Allegheny College” as the best part of his time at the helm. 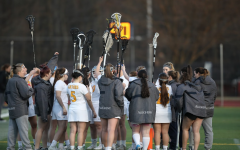 According to Hammer, the fall 2018 season, which included a major win against the highly-ranked DePauw University, was particularly exciting. Hammer said announcing the decision to his athletes was “awful” because of the bond he has developed with them during his time here. Vann Hunt, recruiting coordinator and member of the coaching staff, said the team took the news well and have remained focused in the off-season. “The players are doing a great job of working hard in the weight room and they’ve really rallied together as a group,” Hunt said. Hunt said he and the other members of the coaching staff struggled with the news but are excited for Hammer to have the opportunity to be closer to family in Maine in his new position. 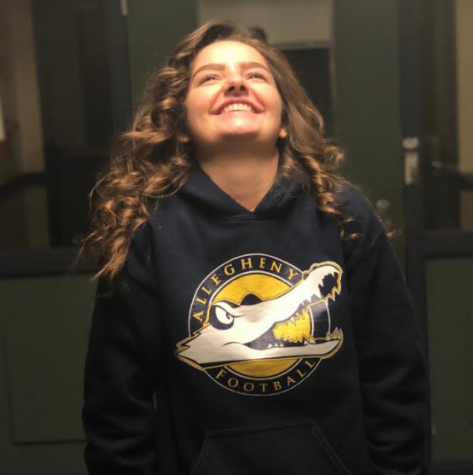 Hammer, Hunt and King all said Allegheny and its athletic program have already proven to be appealing to several candidates who are seeking to fill Hammer’s position. “We’ve been very impressed with the interest so far — quantity and quality of applicants,” King said. Hammer said “quite a few” applicants have already reached out to him personally. “They’re all high-caliber coaches that would do great here,” Hammer said. Interim Athletic Director Bill Ross is in the initial stages of the hiring process as he works with a search committee to select candidates for phone interviews from their resumes. According to King, ensuring the process happens as quickly as possible is a top priority. King was unable to provide a specific timeline for the hiring of a new head coach. Hunt said he and fellow coaches have complete confidence in the athletic department’s ability to navigate these variables. In the interim period, Hunt will be serving as the “primary point of contact” for the football program. King said the department feels “very comfortable” with Hunt assuming additional leadership duties, citing his years of experience with Gator football. Hunt and the team will continue off-season work as usual as the hiring process progresses. Hammer said he had few concerns about his athletes’ ability to continue the success they enjoyed under his leadership.